What things should you do to select qualified contractors and consultants in a way that complies with laws and regulations? Join instructor Mike Purdy from Michael E. Purdy Associates LLC as he discusses best practices and answers your questions. This event is free and very informative! As of this week, we have two new vendors who will be attending the Software Symposium! The new vendors and the schedule are available to preview. 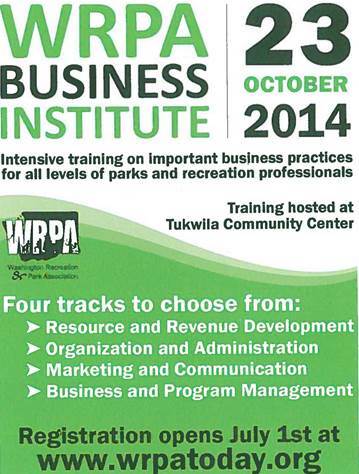 WRPA will have 10 parks and recreation software companies present their products during this two day symposium. There will also be a Showcase & Demo room in which cities can individually speak with nine software companies if they have additional questions. Save the Date for the 2014 Business Institute! 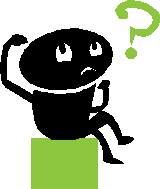 We value your opinion and now that our newsletter has been around for just over a year, it is time to get some constructive feedback on what we can improve and what you want to read. Help us by taking this three-minute survey. U.S. Secretary of the Interior Sally Jewell joined local conservation leaders, April 25, to announce that Lake Sammamish has been chosen as one of eight pilot partnerships nationwide under the Urban Wildlife Refuge Initiative. The partnership will help connect people in the Seattle metro-area to the great outdoors and, in particular, efforts to restore kokanee salmon runs in the Lake Sammamish Watershed. Meadow Park, which is part of Metro Parks Tacoma, has 27 traditional golf holes. Chris Goodman, the course director at Meadow Park Golf Course, and his grounds crew started their footgolf adventure with a test group of three holes. The result? Meadow Park will open the first footgolf course in Washington. The Seattle Chinese Garden is unmistakable. With it's remarkable courtyard, meandering paths and small pavilion, it is bounded by a sea of over 400 blooming peonies from Luoyang China's peony capital making it home to the largest peony garden on the West Coast.